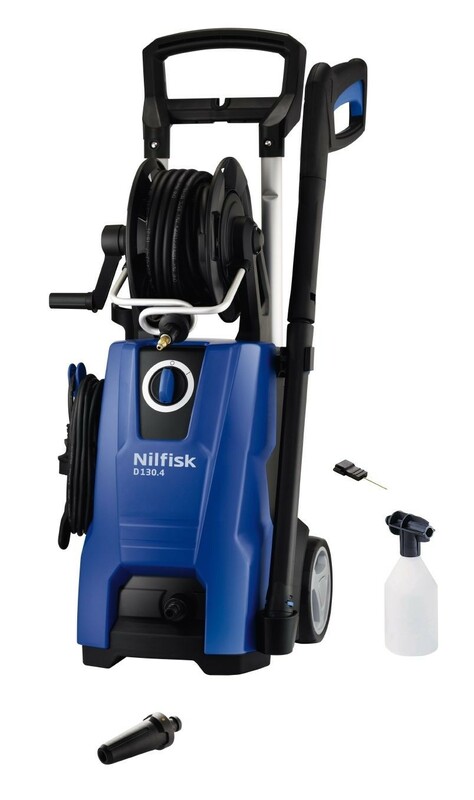 Nilfisk D130 4-9 Xtra is a very powerful pressure washer ideal for general cleaning around mid size homes. The on-board stored anti kink hose is 9M long to increase cleaning areas. The High pressure hose real is very east to use, keeps the hose tangle free. The electrical cable storage keeps the cable tidy for storage. Powerful 2100W motor with aluminium pump producing 130 bar pressure. 9 metre anti kink high pressure hose. Easy to use Click and Clean nozzle system. Auto start/stop for longer pump life controlling. Max water flow 550 litres per hour. 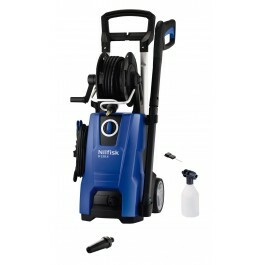 Contents: pressure washer, 9 metre hose, trigger, lance, powerspeed nozzle, tornado nozzle, detergent bottle, inlet adaptor nozzle cleaning pin and instructions.